Press and Media Releases - salsatodays jimdo page! 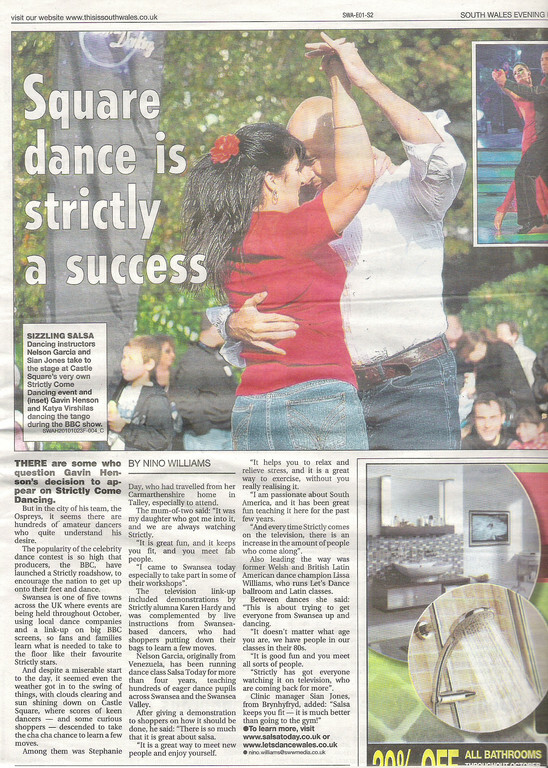 October 2nd ... Salsa "N" Spice at The Dragon Hotel - Swansea. October 10th ...BBC Mental health and well being campaing - What makes you smile - Swansea. 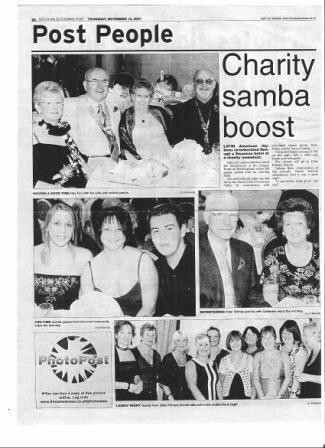 December 4th ...Salsa and Samba party at Cae Glas Residential Home-Cardiff. December 5th...X-mas salsa night at The Glamorgan Racquet Club - Neath. February 13th ... Latin American Festival at The Dylan Thomas - Swansea. February 19th ... Salsa Party Extravaganza at The Dragon Hotel - Swansea. March 8th ... Samba Show during the International Women's day at Ystradgynlais Community Centre - Swansea. March 26th ... Salsa Party at The Coach House Glynclydach - Neath - Swansea. 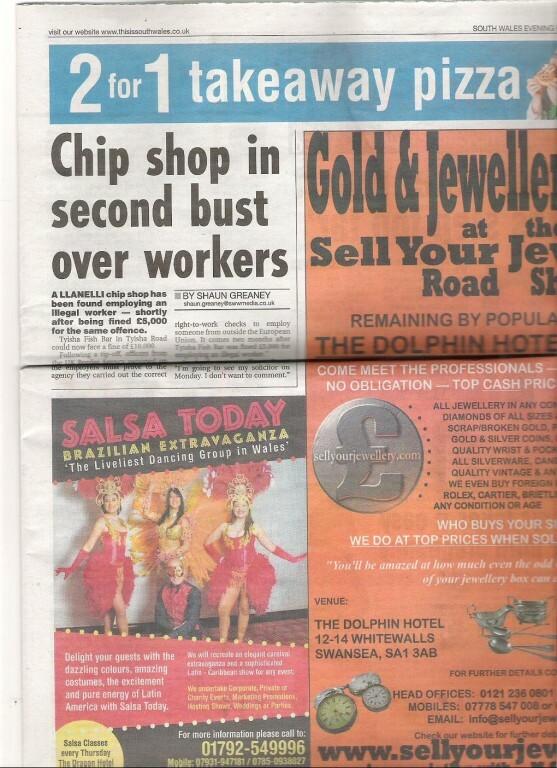 March 27th ... Salsa Party at The Grosvenor Casino - Swansea. May 14th ... Salsa Dance Party at The Dragon Hotel - Swansea. July 24th ... Salsa Dance Party at The Glamorgan Racquet Club - Neath. October 22nd ... Salsalicious Night at The Village Hotel - Swansea. December 2th ... VIP Salsa Night at The Village Hotel - Swansea. December 9th ... Christmas Night at The Village Hotel - Swansea. December 31st ... New Year Eve Party at The Village Hotel - Swansea. 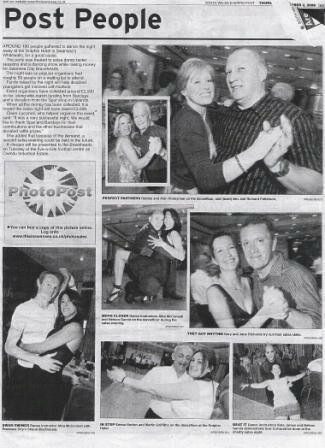 March 26th …Salsa Dance Party at The Glamorgan Racquet Club - Neath. April 8th …Salsa Dance Party at The Dragon Hotel - Swansea. October…Salsa Night at the Glamorgan Racquet Club – Neath. October…Black Tie Extravaganza Charity Evening – Dragon Hotel Swansea. December....Salsa Dancing Night – Celtic Manor Hotel New Port. 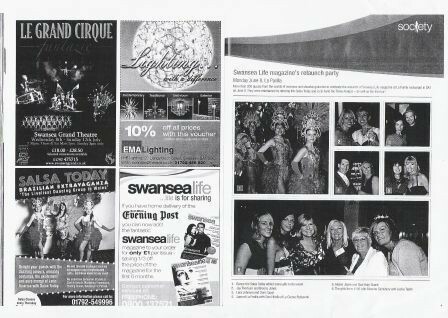 April 27th …Salsalicious Party - Dragon Hotel Swansea. July 1st...Swansea's World Party - Singlenton Park. October 19th...Latin Extravaganza Evening - Dragon Hotel Swansea.